The ANNI Regional Conference 2015 is themed “NHRIs Today: On the Fence, At a Crossroads”, and will take place on the 25-26 August. It will both be a stocktaking effort to examine the contemporary relevance of the Principles Relating to the Status of National Institutions (Paris Principles), and a forward-looking exercise to ensure and generate support for National Human Rights Institutions (NHRIs) to operate and perform in an enabling environment. Some 20 years after the adoption of the Paris Principles, it can be argued that the performance of NHRIs (and public confidence in them) have admittedly been mixed at best. 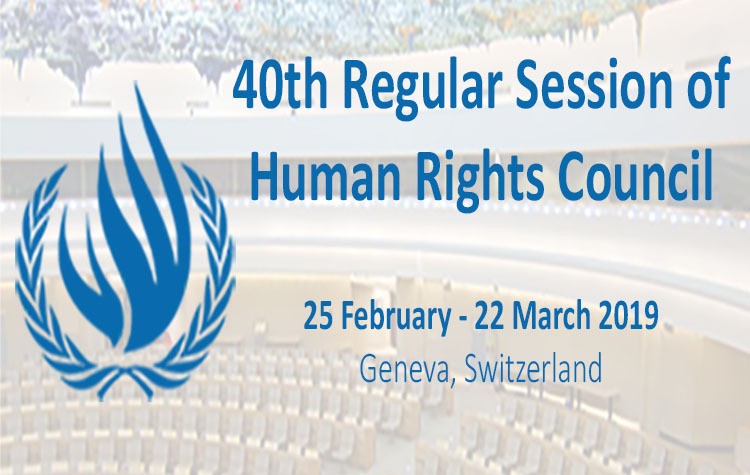 Of course, there are notable exceptions, such as the HRC Maldives’ instrumental role in the passage of the Anti-Torture Act (2014) and SUHAKAM’s national inquiries into rights abuses and violations relating to freedom of peaceful assembly and indigenous peoples’ land rights, among others. Increasingly, there appears to be a consensus on the potential and importance of NHRIs in human rights governance and protection. This “global adoption” is reflected in both the sheer increase in recommendations for States to establish independent and Paris Principles compliant NHRIs at international mechanisms such as the UPR and treaty body reviews, as well as the enthusiasm and reception by States under review. However, such patterns bear closer examination and unpacking. Many times, the reality is that NHRIs in non-democratic or transitional States are often used as smokescreens to deflect attention and scrutiny of the country’s human rights record. The establishment of an NHRI should not be conflated with the greater respect of human rights by the State. So, while their creation may arguably open up an official space for human rights discourse, the institutional legitimacy of NHRIs is ultimately tested through their performance, and in particular, their impact or ability to render justice to victims of violations and abuses. The Paris Principles and ICC-SCA’s General Observations provide substantial guidance and direction in relation to the formation (and foundational objectives), structural framework and operational functions of NHRIs in general, but it is mostly silent on how to enquire into effectiveness and impact, both of which have significant bearing on its public and institutional legitimacy. Public expectations of NHRIs exist because their creation suggests an institutional approach to addressing and tackling violations domestically. After all, they are the only state-formed organ tasked exclusively to promote and protect human rights. However, it is also important to note that the performance of NHRIs and ability to actualize their mandates are highly contingent on the quality and functioning of other democratic institutions in the country. It has become increasingly apparent that the performance and effectiveness of NHRIs hinges largely on the environment they operate in. While not every NHRI is confronted with attempts to undermine its independence and restrictions to jurisdiction and mandate, they admittedly still lack institutional support. The inability to release critical reports (Afghanistan) or enforce/monitor the implementation of recommendations (Malaysia) is common. Even today, many Asian NHRIs confront significant difficulties in having their reports promptly tabled and robustly debated before Parliament. In more extreme cases, harsh reprisals have been meted out to NHRIs for duly performing their duties, and the examples of the HRC Maldives and Komnas HAM readily come to mind. The problems that beset NHRIs include structural faults, functional deficiencies and inadequate mechanisms for the enforcement of recommendations, among others. It is essential that NHRIs are able to harness the support and oversight of other bodies such as Parliament, such that it is can meaningfully impact the human rights governance and protection agenda. The objectives of the Conference are to: 1) Raise contemporary challenges and patterns/trends relating to the work and functioning of Asian NHRIs and bring these to the attention of the regional governing body of NHRIs, the Asia Pacific Forum of NHRIs (APF)’s Secretariat and the Forum Council for their action; 2) Foster multi-stakeholder dialogue and inputs, including from Parliamentarians, NHRIs (and their groupings) and ANNI members, to address the above mentioned challenges; 3) Take stock of and identify gaps in the Paris Principles, particularly in relation to: enquiring into or measuring effectiveness and impact; and addressing the different contexts that NHRIs in, particularly in non-democratic or transitional States; 4) Popularize/mainstream and implement the Belgrade Principles such that NHRIs can enlist and harness support to operate in an enabling environment conducive for the fulfilling of their mandate. In the long-term, the Conference hopes: to initiate a study to identify gaps in and contribute to existing standards (Paris Principles and General Observations), such that the standards and discourse on NHRIs are meaningfully expanded and reflect and address contemporary trends and challenges; as well as to advocate for strengthened recommendations at various platforms, including at the national level and international fora, in relation to the effective work and functioning of NHRIs.